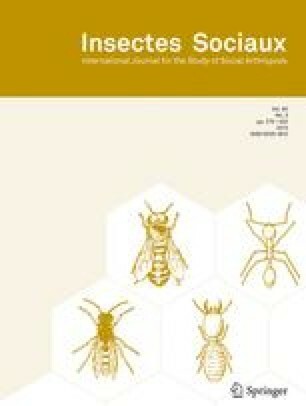 In the polyandrous honey bee, Apis mellifera, workers can potentially increase their inclusive fitness by rearing full-sister queens. If the mother queen dies suddenly, workers feed a few larvae in worker cells with royal jelly and rear them into queens (emergency queen rearing). Using DNA microsatellite markers we determined the patriline of emergency queens reared in two colonies headed by naturally-mated queens before being made queenless. We found that some patrilines were reared more than others in one colony, but not in the other. These differences between colonies suggest that selective rearing is not always present and this might explain the mixed results of previous nepotism studies in the honey bee. Received 10 February 2003; revised 7 March 2003; accepted 17 March 2003.